The 39 Clues is a multi-author series of children’s adventure novels. Among the authors of the series are Rick Riordan, Gordon Korman, Peter Lerangis, Jude Watson, Patrick Carman, Linda Sue Park, Margaret Peterson Haddix, Roland Smith, David Baldacci, Jeff Hirsch and Natalie Standiford. The series follows the brother-sister team of Amy and Dan Cahill, who find out that they are part of the most powerful family ever. The series has been optioned for film by Steven Spielberg. Spymasters is the first in the series when reading in chronological order. The 39 Clues Synopsis: The Maze of Bones by Rick Riordan is the first book in the 39 Clues series. Immediately before death, Grace Cahill put in her will to choose either $1,000,000 or a clue. She is part of the most powerful family in the world with connections to everyone from Napoleon to Houdini and more. 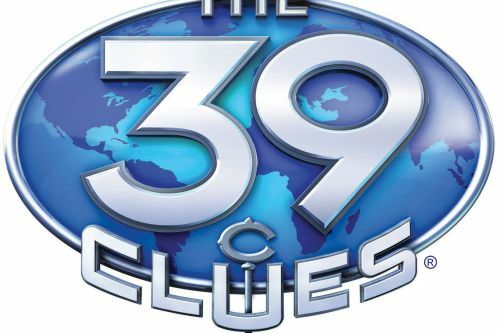 39 Clues are hidden that can reveal this secret, but someone must find them. Daughter and son (of Grace) Amy and Dan Cahill must now decide to either look for the clues or find out what actually happened to their parents.